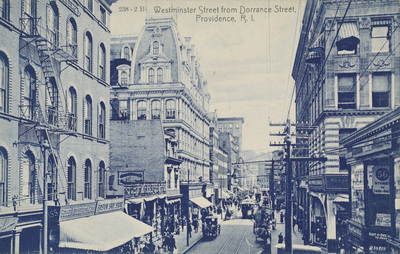 "Westminster Street from Dorrance Street, Providence, R. I." by Blanchard, Young & Co., Providence, R.I.
Westminster Street from Dorrance Street, Providence, R. I.
Blanchard, Young & Co., Providence, R.I., "Westminster Street from Dorrance Street, Providence, R. I." (1907). Rhode Island Postcards. 123.